Cell phones didn’t always have cameras. They especially didn’t always have cameras that could actually compete with modern digital cameras. Back in the early 2000s, Japanese companies were just coming out with phones capable to taking photos. They were at a measly 0.11 – 0.3 megapixels and not all of them could even send the pictures to other people. Today, smartphone cameras have ten and even 100 times more than that. With the explosion of social media, people became more and more interested in sharing photos of themselves and what they saw. This is one of the reasons smartphone companies focuses on cameras as much as they do. 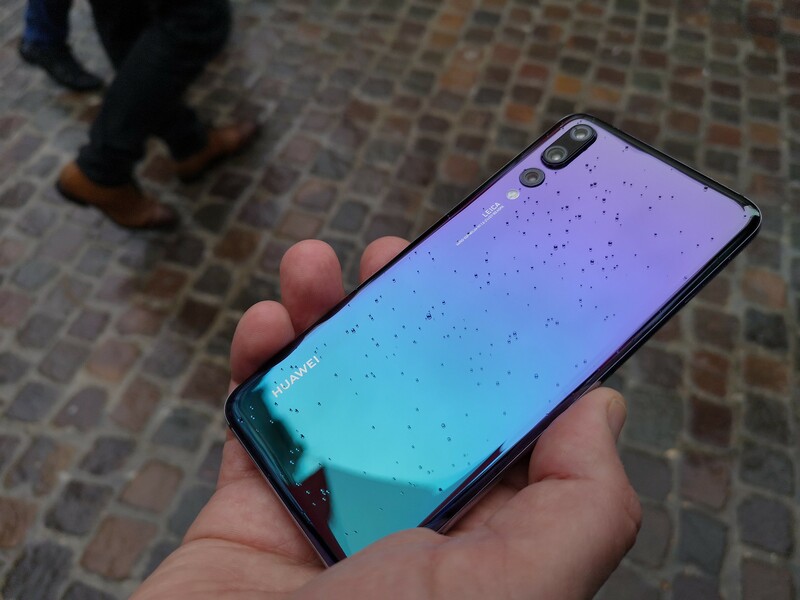 There have been some impressive innovations when it comes to smartphone cameras, but recently, Huawei, a Chinese company that has been gaining popularity, blew everybody out of the water with their new P20 Pro. This camera is truly amazing, and according to DXOMark, it is the best one out there. The Huawei P20 Pro is Huawei’s latest flagship device. The camera it comes with is one of the best, most innovative cameras on a smartphone in ages. On the back, the P20 Pro features not one or two, but three different cameras. These cameras are not just there for the sake of having three cameras. They are each unique and designed in specific ways. The main camera, for example, has a huge sensor. It’s nearly double the size of its competitors. The main camera’s total pixel count is 40MP, but due to the way it works, it outputs 10MP images. You can, however, change the settings to output the full 40MP if you want. Although it can be argued that the 10MP output looks better. The second camera is a 20MP 1/ 2.78” monochrome sensor. Its job is to help estimate depth and work on the fine details. It also improves quality in low light and zoomed in photos. The third camera is an 8MP telephoto camera for shooting portraits. The portrait mode on the phone puts the main focus on you and blurs the background for that nice professional portrait effect. A dual LED flash is also included. While smartphone flashes are known for being pretty bad, the P20 Pro is one of the best flashes there is on the market. Using the flash (especially in my case) is actually something to consider on the Huawei P20 Pro. In addition to taking fantastic photos, the P20 Pro is also keen at taking video. It can record up to 4K video at 30fps. At that quality, there is no video stabilization, so videos can be very shaky if you’re not using a proper setup. You can, however, use the less sharp 1080p recording which has excellent video stabilization and will provide smooth, flawless footage. In bright light settings, the P20 Pro works wonders in all conditions. It has a very wide dynamic range. It is actually wider than any other smartphone. Due to this, it works very will in high contrast areas. It ensures that the images are sharp and have very little grain. The P20 Pro’s auto focus works really well as well. Although, it does have a few issues. It has a feature called “Master AI” which recognizes certain scenes and makes adjustments to color and focusing. It works in a pinch, but if you really want to take the perfect picture you’re better off turning that function off. 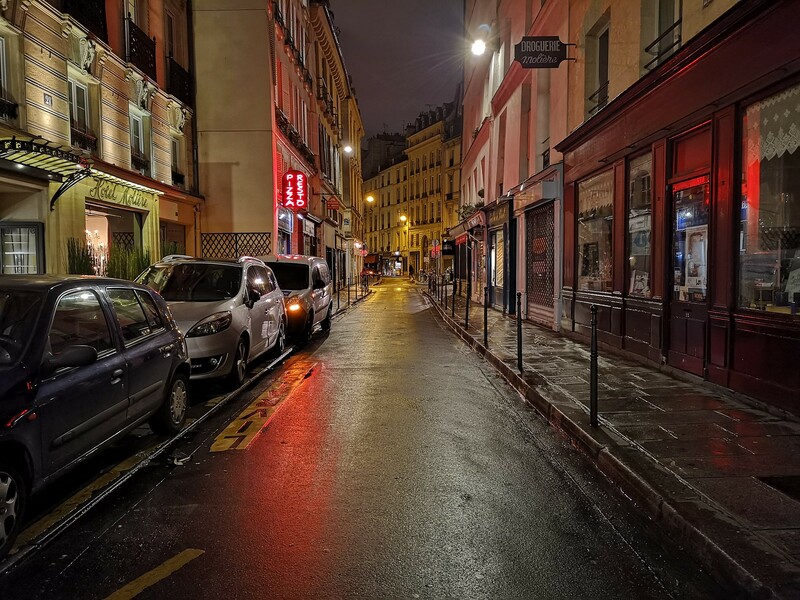 With most smartphone cameras, taking pictures at night is difficult. Their sensors just can’t take in enough light and images end up being too dark. The P20 Pro, however, excels in low light conditions. It’s called “Night Mode” and it’s a special option specifically used to take pictures at night. It works by doing a kind of long exposure by taking four pictures in a row. The pictures it takes at night are beautiful. You can see all kinds of detail and there are no annoying halos. The difference in dynamic range versus other smartphones is staggering. The only issue with this mode is that, because it’s a type of long exposure, there will be ghosting effects if things are moving within the frame. In the zoom category, the P20 Pro is also above the rest. It combines two zooming methods, a stabilized zoom lens with an 80mm focal length, and the second camera’s monochrome chip which is around a 50-60mm focal length. With these features, the detail in the zoomed images is way above the bar compared to other smartphones. The noise level is incredibly low in all conditions. It’s by far the best option if zooming is important to you. Even with a 4x zoom, you can still see fine details such as textures on clothes and walls. Objects in the background will not be blurry blobs of pixelated mush, they will actually be visible pieces of the scenery. In the portrait mode, certain estimates are made to decide what the depth should be. The bokeh mode with the P20 Pro is just about as close to a DSLR as you can get. Compared to its competitors, the P20 Pro has fewer errors and is overall more accurate. The selfie camera, of course, is also excellent. It takes good looking pictures that look sharp. It captures plenty of details and you can also use the portrait mode to blur the background. It also includes a “beauty mode” which tries to fix your skin to make it look clear. Overall, the Huawei P20 Pro’s camera lives up to the hype. It’s the beginning of the next generation of smartphone cameras. While it does have its downsides and faults, what it brings to the table more than makes up for it.